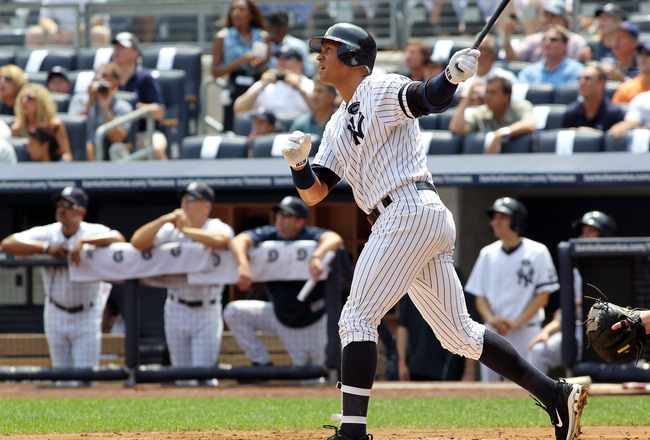 With 626+ home runs to his name, Alex Rodriguez is Major League Baseball’s active long ball leader and perennial poster boy for power hitting. But if A-Rod has learned anything during his 18 tumultuous years in the league it is that there are no guarantees in baseball. There’s no guarantee that he will remain healthy and in home run form, proven by his past stints on IR. There’s no guarantee that pitchers won’t pitch around him, as they have done in the past despite a powerful supporting cast on the Yankee squad. And there’s no guarantee that he will ever regain the 40+ homers per year home run pace that he enjoyed throughout several of his prime years. Of course A-Rod has his eye on the prize On August 4, 2007, just days after turning 32, Alex gave himself one of the most amazing late-birthday presents possible when he earned admission into The 500 Home Run Club®. At 32 years and 8 days of age, he bested the previous youngest-ever club member – “The Beast” Jimmie Foxx – by nearly an entire year (Foxx did it in 32 years, 338 days). He went on to become by far the youngest Major Leaguer to hit 300-400-500 and 600 round-trippers. Editor’s Note: The next fastest to 600 was Hammerin’ Hank Aaron, who was 36 years and 196 days old when he broke through the 600 HR ceiling and 39+ when #700 went flying into the cheap seats. Not only was Babe Ruth the first major leaguer to hit 700 home runs, but he is still the youngest to do so at 39 years + 150 days. Hank Aaron took 16 days longer (39 years + 166 days) and Barry Bonds was 40 years + 55 days. Based on A-Rod’s 14.59 at bats per, the 35 year-old will surpass 700 home runs at age 37, which is years younger than anyone else on the list. 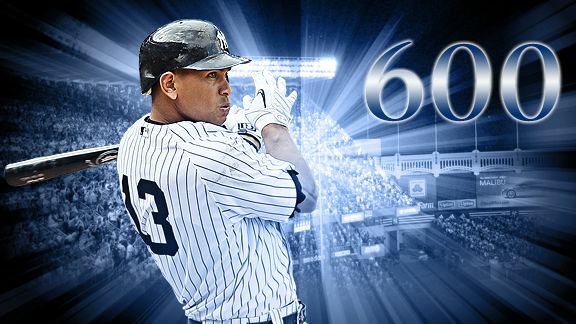 Rodriguez’s talent, training regimen, excellent supporting Yankee cast, and his burning desire to be the best, virtually guarantee that, if he remains healthy and productive, he will pass every player ahead of him…and eventually take over the top spot on the all-time home run list.